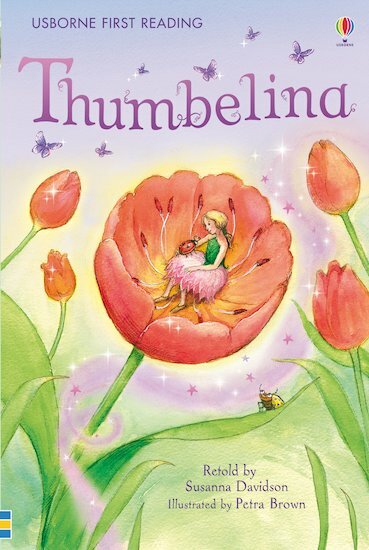 Thumbelina is pretty and kind – and as tiny as a thumb. Flowers tower above her and birds can carry her on their backs. When she’s abandoned in the outside world, she faces some very big adventures indeed… This lovely book retells the classic Hans Christian Andersen fairy tale in rich, vibrant artwork and carefully-levelled text. Presented in a hardback gift edition with a ribbon marker, it supports Level Four of the Usborne First Reading series, for developing readers who are building their stamina and fluency. I WANT THAT BOOK NOW!